Please read, think about, and respond to the following article by Gary Green regarding the use of photo-illustrations with news stories (click on the link below). Do we use this technique too often in The Bagpiper? What are the ethical concerns and considerations of using photo-illustrations with news content? Do we need to establish clearer, more consistent guidelines for use of photo-illustrations? Why or why not? And if so, should some of these guidelines be? I’d like your thoughts outlined in the Comments section of my blog off to the left of this entry. Consider your own section when appropriate. Consider both print and web. Remember to leave your name. Deadline: Wednesday, Feb. 20 at 3 p.m. Worth 20 points. Is it appropriate to use a photo-illustration for a news story? 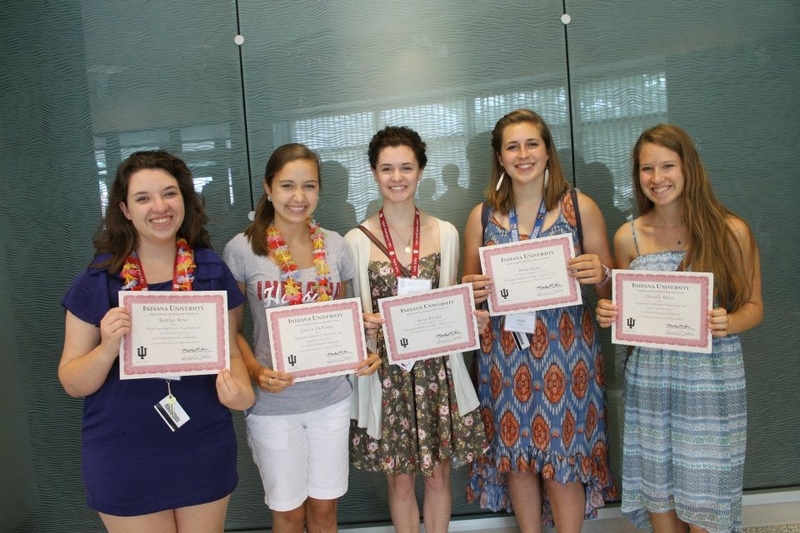 HSJI scholarship winners 2012: seniors Katelyn Rowe, Lauren McNeeley, Grace Runkel, Anna Boone, and Danielle Rehor. Floyd Central journalism students spent part of their summer enhancing their journalism skills by attending the High School Journalism Institute at Indiana University in July. Members of the Bagpiper newspaper staff and Bartizan yearbook staff also spent their time planning for the 2012-13 school year. FC journalists attending HSJI include seniors Anna Boone, Derek Hanke, Lauren McNeeley, Danielle Rehor, Katelyn Rowe, Grace Runkel; juniors Eli Bolus, Claire DeFrancisci, Nathan Hemminger, Brad Hunt, Bekah Landers, Jessica McNally, Meghan Poff; and sophomore Alaina King. Congratulations to these journalism students for their great work this summer.